You know what’s good timing? Receiving a glorious golden parcel in the post from the lovely people at Rimmel London, brimming with brow products, the day after you ran out of the ones you had been using. The Rimmel eyebrow pencils were some of the first I ever tried and in a few shades too, having dyed my natural brondey hair a shade of chocolate brown in my late teens and realising my uber pale brows no longer matched. 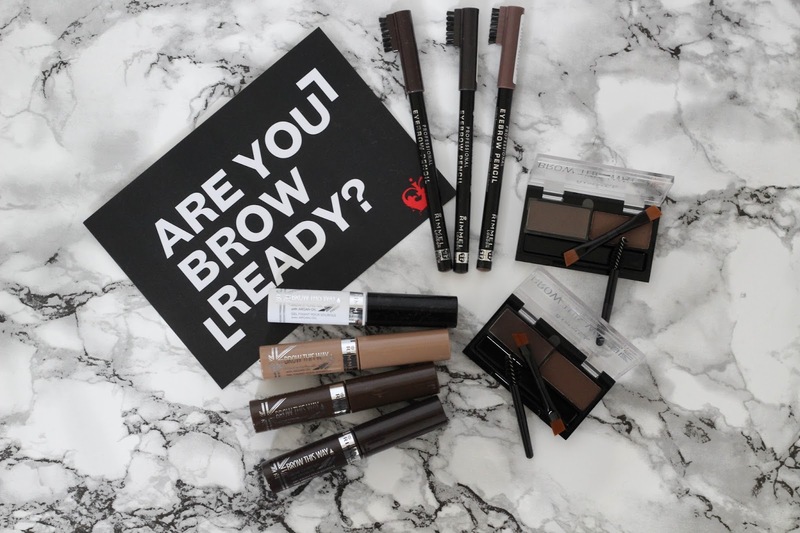 As I said above, my eyebrows are incredibly light and this product is by far my favourite in the range when it comes to giving them some much-needed definition. Using the handy brush built into the lid, I always start by combing my brows through. I then take the pencil along the lower part of my brow and slowly start to fill them in. It’s important to do this in light strokes, so that you don’t run the risk of looking as though you have overenthusiastically filled in the gaps like a kid with their first colouring book. Available in three versatile colours (Hazel, Medium Brown and Dark Brown), this pencil has a drier formula so isn’t quite as easy to blend as other pencils I have tried. That said, the product stays on all day so you can be sure that your groomed brows will be long lasting. You can use the gel in two ways; on its own or after you have already filled in your brows. Personally, I prefer to use this after applying the pencil, as this sculpts and further defines my brows. Formulated with argan oil, the gel actually conditions and softens your brows while being worn. You can purchase it in Blonde, Mid Brown, Dark Brown or, if none of those work for you, it is also available in Clear. My brows are slightly in between shades, though I think the Mid Brown might be slightly more appropriate. I tend to use only a little of this if I am going out of an evening, but if it’s a daytime look, I layer on some of the Clear gel. What I really like about this product is the brush. It is tapered at the end, which allows you to catch all of your smallest hairs with the tip of the brush and comb through the rest with the fatter end. I think is a particularly good design feature, as it gives you complete control over your look. I have wanted to try one of these sets for a while; it’s almost as if Rimmel knew! Admittedly, I am still a bit of a novice with this one and the first time I used it I wasn’t in a particularly well lit room. When I came back into normal lighting, I realised I had gone slightly overboard with the gel part of the kit. But, practice makes perfect! This is the product I would be calling on for a night out; if you want a slightly more dramatic look, this is certainly the one to use. The kit comes with two little brush; one to comb through your lashes and the other a double ended angled brush – one end is harder for the wax and the other slightly softer for the powder. You start off with the wax to define the lash. I start with this lightly underneath my brow, around the arch first and then add some upwards strokes at the starting point of my brow. I smooth this out as I go, being sure to build up rather than getting wax happy! When you have defined your brows in the way that you wish, you can use the powder to set this. This also helps to fill in any spots you have missed and make your eyebrows look that bit more natural. One of the simplest but actually most exciting items I received has to be this one. You can get your brows looking groomed to perfection with all of the other products, but with this product you can leave them illuminated too. This glittery little crayon can be used just under your eyebrow arch in order to give the appearance that brows are lifted. It adds a little shimmer that really helps to frame them – a real winner in my eyes! So, as great as all this must sound, do you want to know what the best part is? The most expensive item in this round up is just £3.99 - can’t get fairer than that. You can find the range at local Boots and Superdrug stores, or from Rimmel’s website. Head on over and get shopping, before the whole world reads this blog post and fills their baskets! *This blog post contains PR samples. 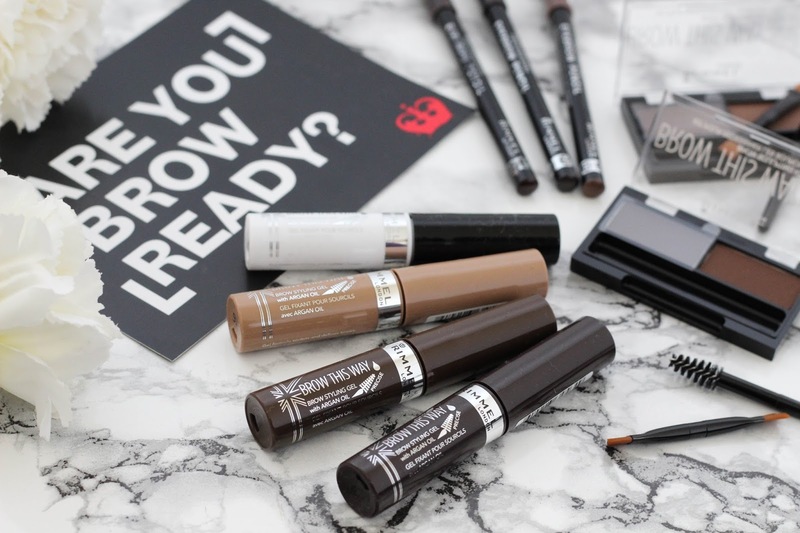 I love their products, really like the brow gel too!